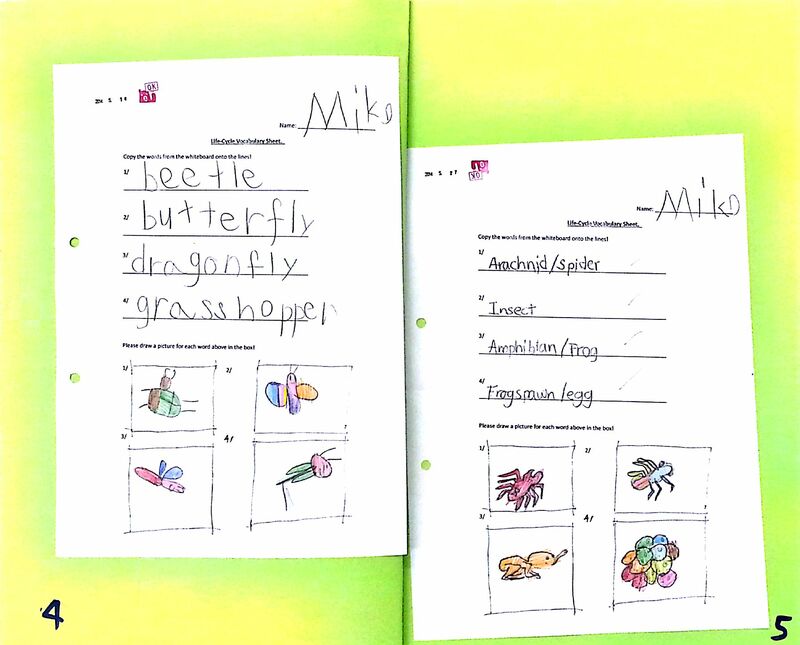 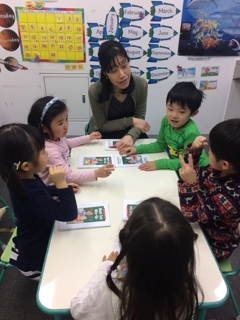 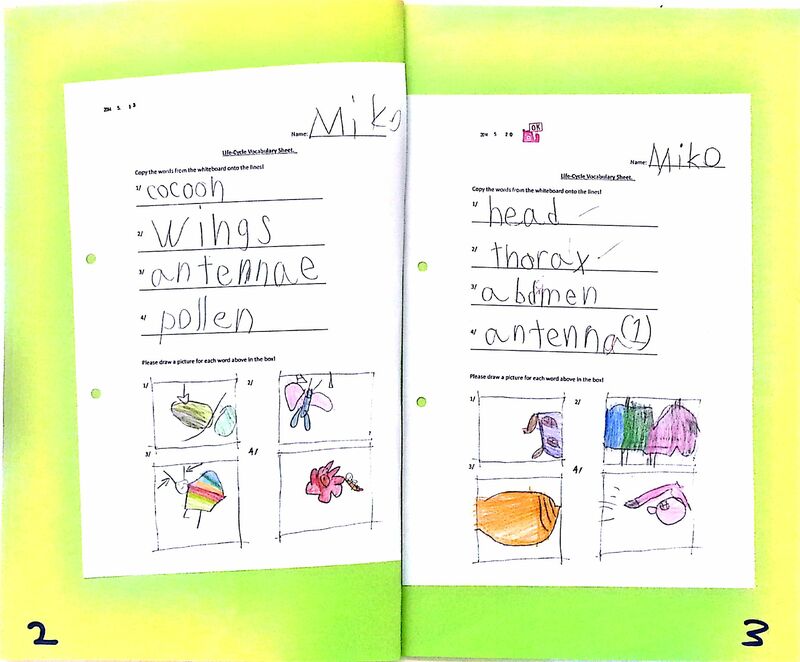 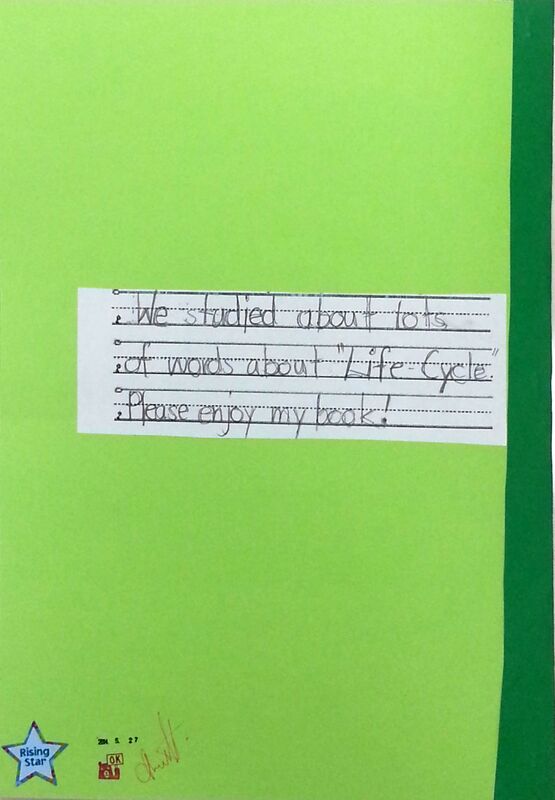 Every day, the class did one worksheet, where they wrote down four vocabulary items (either taken from, or relating to the vocabulary cards provided for this theme). 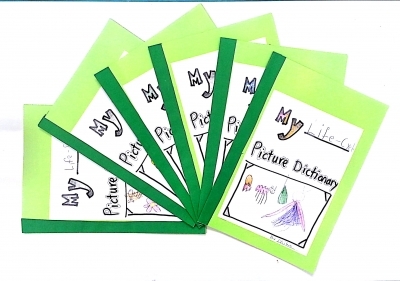 The pupils also illustrated each word with a corresponding picture. 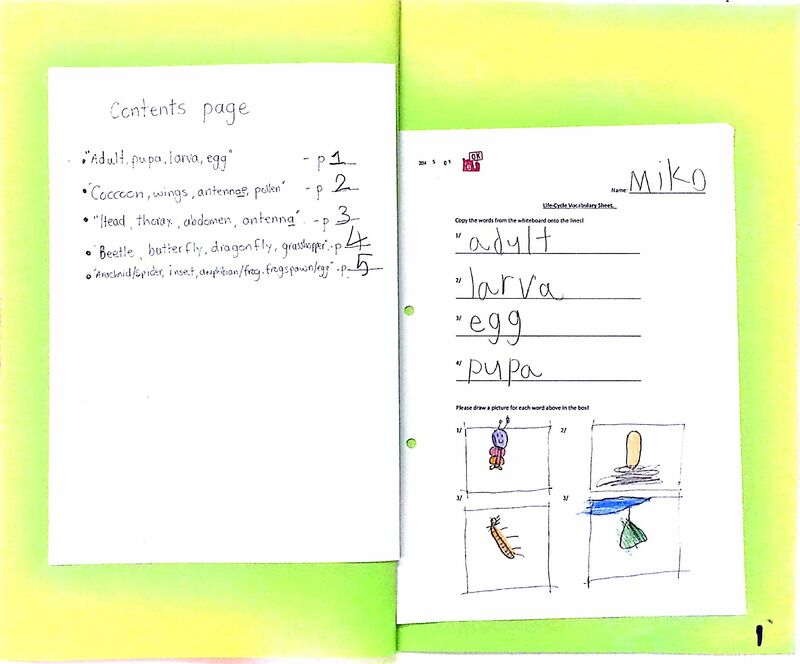 After they had finished, they added a contents page (with numbers for each page), cover picture (with illustration, title and name written and drawn by themselves) and blurb on the back (which the teacher helped them with). 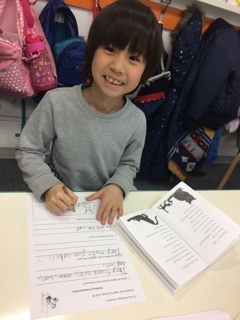 The pupils had a lot of fun and worked really hard on this project, so they all got a big sticker, date stamp, "OK Bear" stamp AND the teacher's signature on the back for all of their hard work and great effort!